A small-scale, semi-recessed fixture providing downward light through an acid-etched, poured glass diffuser available in a wide range of colors. 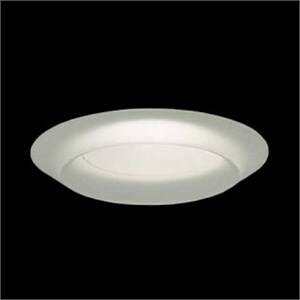 Provides a narrow to wider beam spread, depending on the lamp, as well as a soft pleasant ceiling glow. Fully recessed housing equipped with thermal protection, magnetic transformer and junction box which houses the hand-molded Murano glass diffuser. Suitable for installation in all types of suspended modular ceilings and new construction. Mounting bars are provided with the new construction housing only. Remodel and IC housings also available. Light Blue, Cobalt Blue, White, Rose, Jade Green, Aquamarine. U.L. listed/CSA approved for damp location. For U.L. compliance, use enclosed MR-16 lamp. Specification drawing is for new construction housing. See More Images for all housing dimensions.